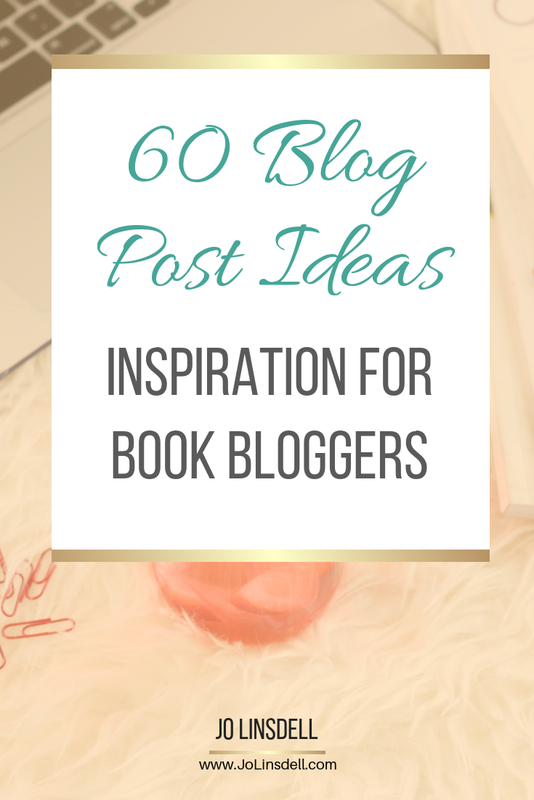 As a book blogger, do you ever struggle to come up with ideas for blog posts? Today's post is for you! We all struggle from time to time to come up with a new blog post idea. It's also easy to get stuck in a blogging rut where you just keep posting the same type of content all the time. If you need some blog topic inspiration, I've got you covered. Got an idea to add to this list? Post it in the comments section below. Need more ideas, inspiration, or motivation to put together a solid plan of action for your blog? I can help. Thanks. I might add to this and make an even bigger list soon. This is brilliant!! I need to bookmark this post for future reference. Great! Yes please do bookmark it. Glad you found it useful. I think a lot of book bloggers get blocked from time to time and don't know what to post about, so hopefully this will help. As a new kid on the "book blog" block, I really appreciate these types of posts. Love the support and great ideas. Thanks for sharing! My pleasure. Welcome to the wonderful world of book blogging, and good luck with your book blog. I hope you can use some of these blog post ideas when coming up with content for your blog. I appreciate the ideas since I'm not a creative one and having them all in one place to review is nice vs scribbled on many pieces of paper scattered all over my desk! That's one of the reasons I wanted to do this post. I have pieces of paper everywhere with notes on them. Hope this gives you some ideas for more types of blog posts you can do on your book blog. There are some fabulous ideas here. I have bookmarked this page as a reference. Great! I'm glad you found my list useful. Interview and rants... sounds good to me ;) I personally love doing interviews, both with other book bloggers and with authors. They give a chance to get to know the person better and learn some behind the scenes info and tips about how they do what they do. Ohh amazing ideas thank you so much for the great ideas and sharing your awesome post Jo. You're welcome Katiria :) I'm glad you liked the post and found it helpful. Coming up with blog post ideas isn't always easy so having a list for inspiration can come in handy. Wow some great ideas! I'll have to try some of these! Haha glad I could help :) Are you doing Blogtober too? What great ideas. I'm always looking for new inspiration. Thanks for sharing. My pleasure. It's always handy to have a list of ideas to go back to for inspiration. Such great ideas! I am bookmarking this! Awesome! Thanks Heidi. Glad you found my blog post ideas useful. Wow Jo! What a great list! Thanks Robin. 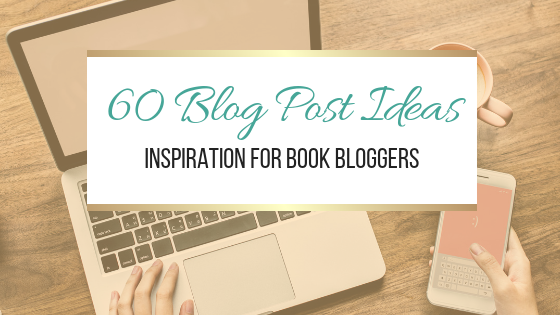 I might do another post with even more blog post ideas for book bloggers soon. YAY! Glad it was helpful and gave you some ideas for blog posts you can do on your own blog. My pleasure. So glad you found it helpful. My pleasure Rose 😊 Thinking about putting together another post like this with even more blog post ideas as this one seems to have been so popular. Happy it gave you some new ideas. oooh some of these are really good - sometimes I struggle to find something else to do on my blog other than reviews! Thanks Lena. Glad you found it helpful. Thanks Polly. Glad you found it useful. Hope it helps give you some ideas for posts for your blog.